Get ready for another thrilling game like Fox Family Fantasy Simulator that based on a wild family story of a fox. In this fox family game, you are going to play as a wild fox as well as fox family to hunt your prey, eat the food and drink water from the lake. Find your fox mate, customize your fox family and made confrontations with other wild carnivores. 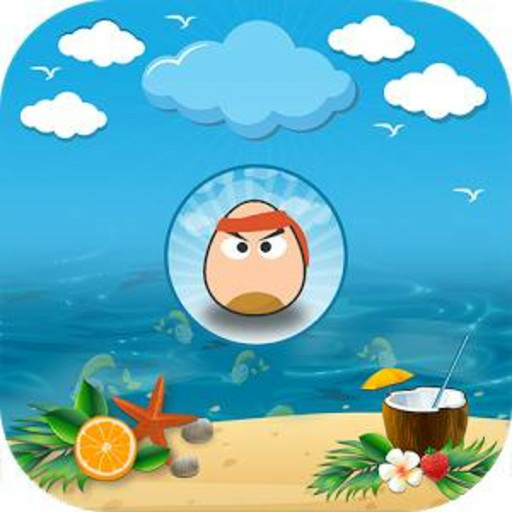 You have to survive in massive jungle, explore the 3D wild jungle life and rule the fantasy world. 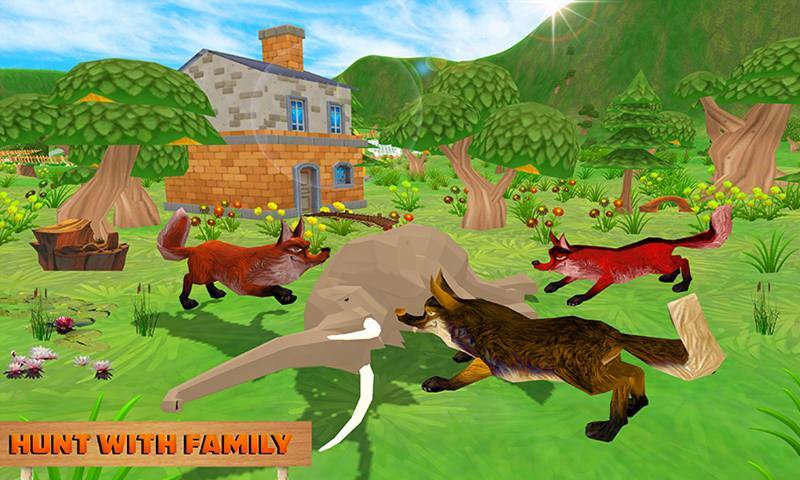 Fox Family Fantasy game is an incredible simulator that especially designed for the fox games and jungle games lovers. 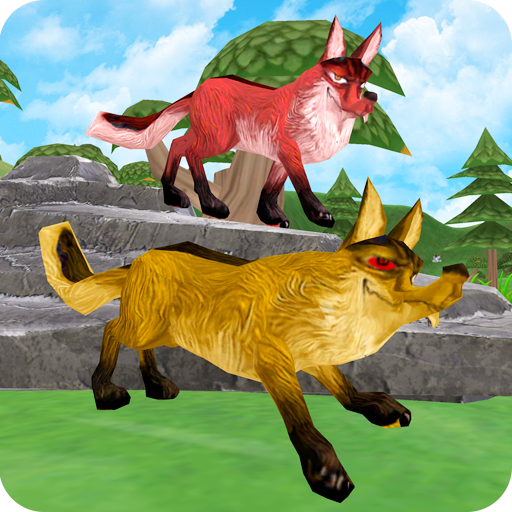 Enjoy the Fox Family Fantasy Simulator that contains the fabulous missions and all thrilling tasks are place on the amazing low poly environment. Survive in the wild jungle by fighting with the predator gangsters, dangerous bull, wolf and wild snake etc. Other famous animals are patrolling in 3D jungle like, cow, elephants, dear, rooster and many more. Complete all the needs of your family provide food and protect them from the upcoming challenges. Experience the most thrilling simulator like Fox Family Fantasy Simulator that contains challenging and intuitive missions for you. 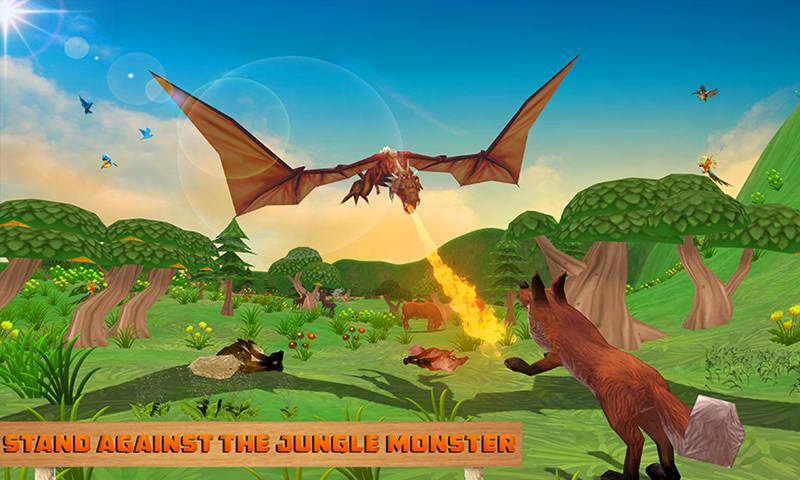 Play as furious fantasy fox and fight with the deadly wilder animals in this wild craft game. 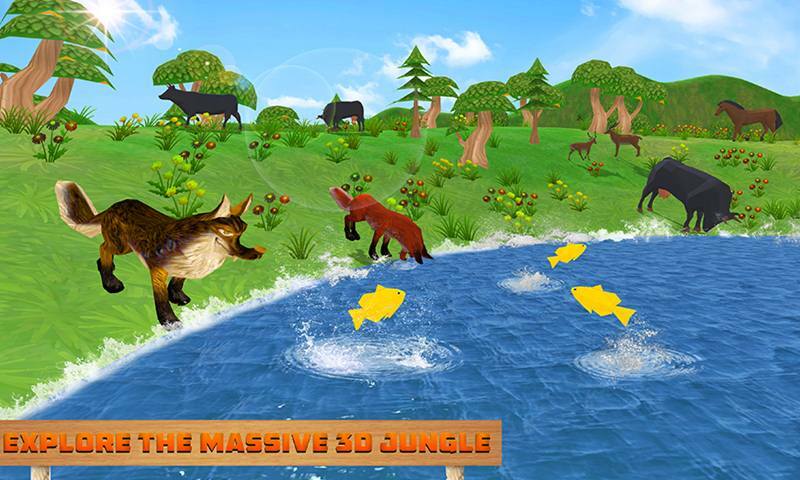 Explore the broad 3D jungle find your mate to spend your jungle life. Drink water from the lake, find your 3D home, and raise your fox family. Fight with tactical wolf that are howling and ready to attack on you with his growling wolf group. Beware from the jungle predator gangster they will kidnap your fox child. Find your kid in jungle town and fight with the gangsters they will attack on you with pistol gunfire. You have to protect your precious fox species. Release your child from the cage by hitting with your powerful pounce. You can easily unlock the other powerful foxes in Fox Family Fantasy 3D Game. Provide food to your family and hunt with your family to train your child to hunt alone in jungle. 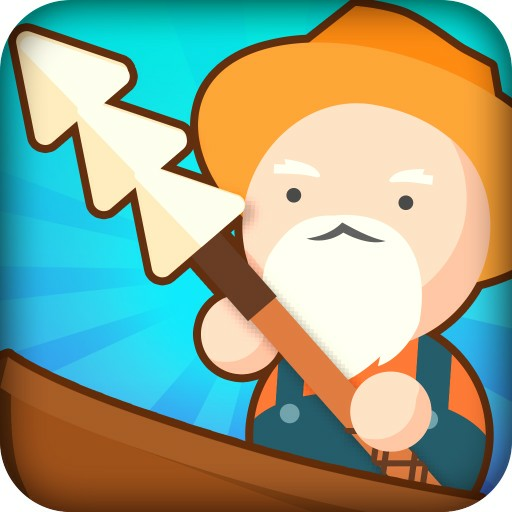 Amazing camera angle and 3D jungle environment made this wild craft game fabulous. • Choose your favorite wild fox to play. • Raise your fox family. • Hunt with your family to train your child. • Bulk of animals to fight with them. • Challenging tasks and fabulous missions. • 3D huge low poly jungle environment. • Protect your family from jungle gangsters. • Amazing camera angles and cool sound effects. Here is a chance for you to play the Fox Family Fantasy Simulator that is free, where you can play as a furious fox and fox family. Fight with the wolf, snake, bull, predator gangsters and much more. 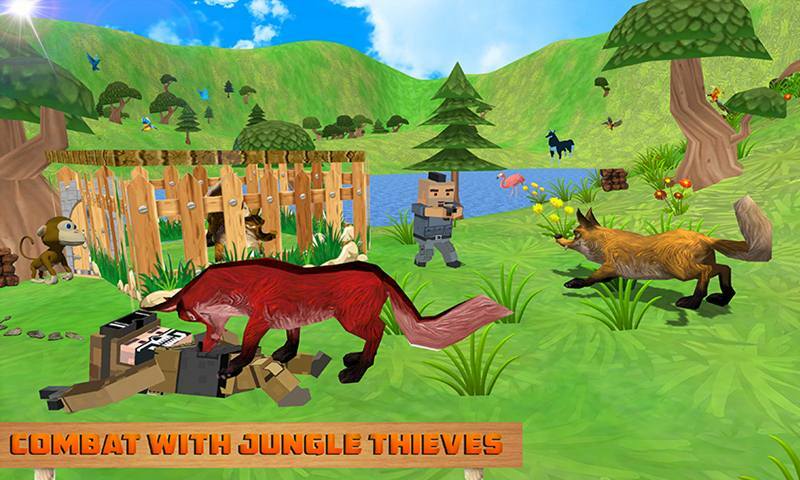 Show your strategic skills and explore the jungle biome with your fox family to survive. 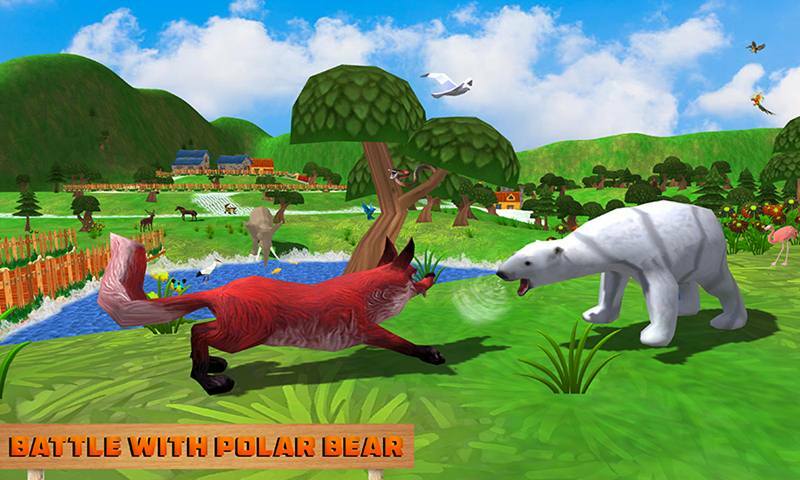 Grab the most challenging Fox Family Fantasy land and rule the massive 3D jungle.